What local body elections ? A new Dunedin resident has won a painting auction; now he just needs a wall to hang the artwork on. Aalbert Rebergen recently moved to Dunedin and his admiration for the work of local artist Frank Gordon prompted a visit to his exhibition at Gallery De Novo on Saturday. The gallery was about to close when he saw the Frank Gordon painting The City of Magic & Song but could not find a price tag. […] Mr Rebergen has moved to the city to take on a new role at the Dunedin City Council as an ecologist. We’re probably long overdue to have an ecologist on council staff. We hear good things about Mr Rebergen, who has been with ORC. Ecologists are specialist scientists who survey ecosystems and assess the diversity, profusion and behaviour of the different organisms within them. Ecologists tend to work for government agencies, environmental trusts, conservation charities and research institutes. Or indeed as private consultants. 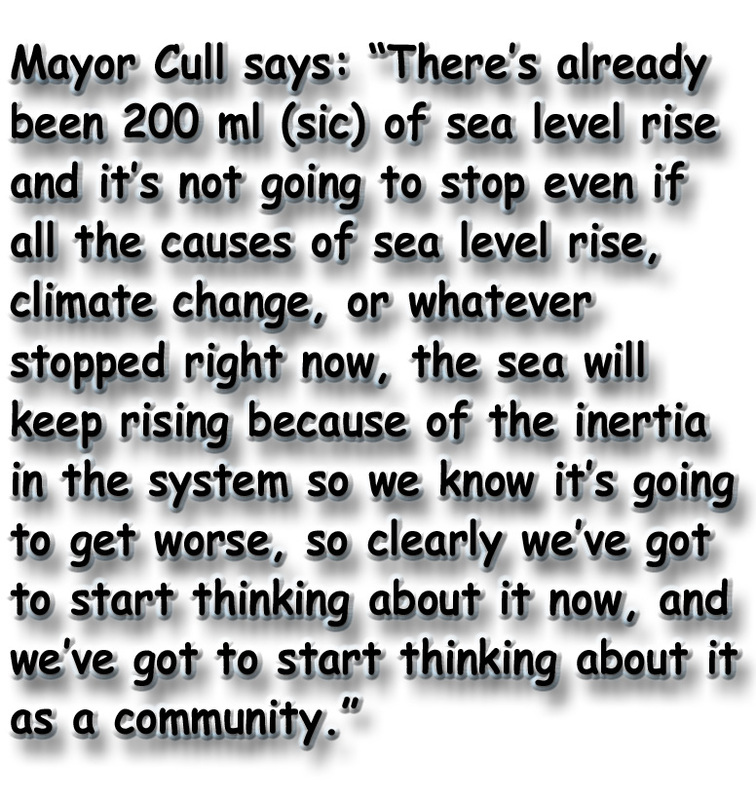 Another sort of ecology IS Dunedin City Council. 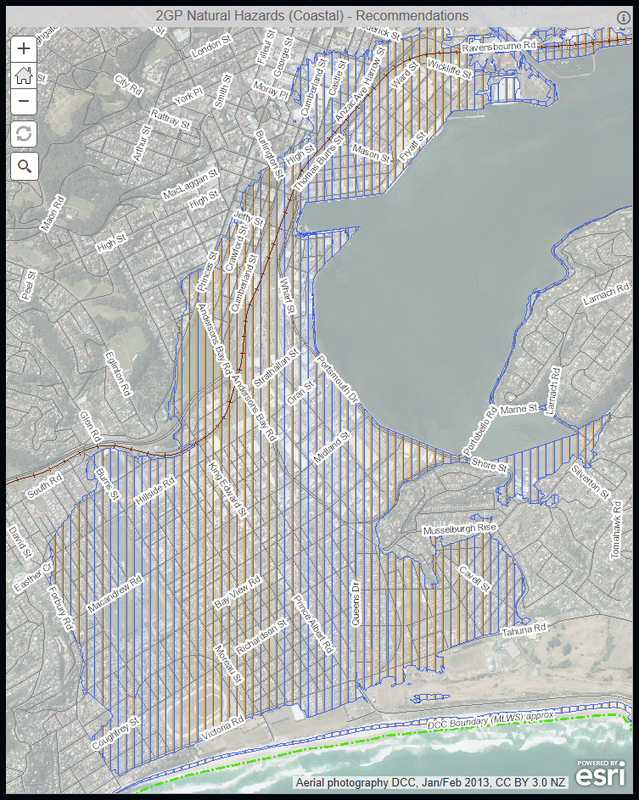 When the DCC doesn’t check leaks and drains in the hill suburbs – completely misses them despite ratepayer queries and concerns! But City Care to THE RESCUE (the company from Christchurch, best practice in hand) finds was it five burst water mains in less than a day within the same street area, where for YEARS DCC had not noticed a Cuckoo. Void the leaks. Void the drainage problems of your surrounding subdivisions. Void the DCC desert that ‘serves’ us. Backfill DCC with people who know how to run infrastructure efficiently and who KNOW civil engineering for ratepayer benefit. The Change Delivery Manager is responsible for leading the development, maintenance and delivery of the council’s long term application development plan as well as overseeing the implementation of new solutions and systems and application upgrades and enhancements. Extensive experience in programme and project management and the ability to establish and maintain a professional, customer focused service delivery culture is a must. Leading a highly motivated team of 12, you will have proven experience providing leadership, guidance and mentoring to members of the team. Delivering the agreed requirements of the programme/project to the appropriate level of quality, on time and within budget, in accordance with the programme plan. Ensuring our business applications are current, and implemented in manner that supports the IT Strategy. Ensuring compliance with Governance requirements. Proven programme and project management delivery background. At least 4 years’ experience leading a team. An appropriate tertiary qualification in ICT/Business and/or well-developed ICT skills to be able to understand the technical aspects of Change and Application governance and architecture. A demonstrable broad and deep understanding of principals of change and a range of change techniques. Ability to capture requirements from multiple sources and translate those into effective and high performing solutions. Excellent customer and stakeholder engagement/communication skills. Excellent understanding and application of project/programme management, Business Analysis and ITIL practices, tools and techniques. If you have the skills and experience we are looking for and the drive to succeed, we welcome your application. 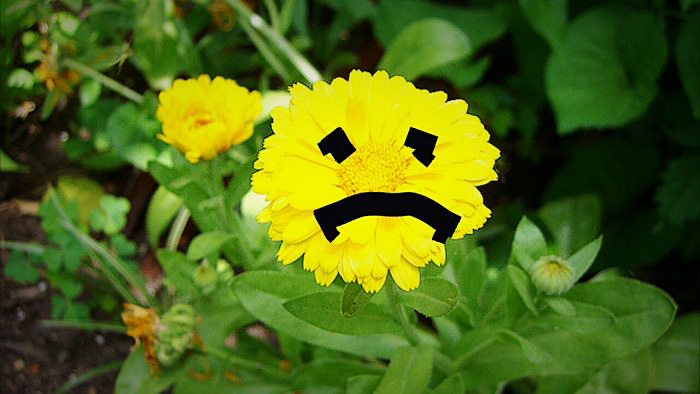 Cowboy New Zealand Governments wake up after YEARS of Devastating Sleep. Is the Dunedin City Council opening its eyes quickly enough even with the Amalgamated Workers’ Union (AWUNZ) on its tail ? Good council workmen dead and memorialised in photographs, frightening…. █ HOW MANY Dunedin City Council (DCC) staff, work crews, contractors and subcontractors have been required to work with asbestos product and exposure to fibres over the years —without comprehensive safety training and correctly specified respirators and safety clothing for individual protection ? The answer is likely to be unlimited numbers. Has anything changed at DCC ? Have all asbestos contaminated DCC-owned sites and work areas been identified to date ? Are formal protocols and a register in place for personnel who believe they may have been exposed to asbestos and require admittance to a testing regime ? The death toll from asbestos-related disease in New Zealand will continue to climb for decades to come, despite a ban on imports of building materials containing the toxic mineral. Environment Minister Nick Smith on Wednesday announced New Zealand would join more than 50 other countries in banning the importation of asbestos-containing materials (ACMs), beginning on October 1, unless exemptions were granted. The move was designed to further reduce the “appalling” death toll caused by asbestos, used in building products for more half a century. It now claimed an estimated 170 lives a year, he said. Former Dunedin City Council water maintenance staff based at the Midlands St yard say the risks of asbestos were not understood and early precautions inadequate […] a solemn memorial to 14 men taken too soon – photographs of the dead, showing men lost to lung, bowel or prostate cancer, pinned to a noticeboard in the Dunedin City Council’s former Midland St workers’ yard. Asbestos may impact the financial health of the Dunedin City Council’s coffers in years to come but the extent of the cost remains unknown, councillors heard at yesterday’s annual plan deliberations. Group chief financial officer Grant McKenzie told councillors work was under way at present to establish the extent of asbestos use and issues in council-owned assets, but the cost to rectify it would not be known until the investigation was complete. The Dunedin City Council says it will remove decaying asbestos pipes from public land after their existence at Sullivans Dam was noted by the Amalgamated Workers Union. The pipes are beside sheds near the entrance to the popular fishing spot in Leith Valley Rd. The council yesterday said it had not known the pipes were there. The Dunedin City Council says there is no immediate threat to the public following the discovery of asbestos at Moana Pool. During a maintenance check of the building early last week, asbestos was discovered in the pump storage area under the pool level of the building and in restricted storage areas away from the pool. Group Manager Parks and Recreation Richard Saunders said the maintenance checks identified further inspection and testing for asbestos was needed at several sites, of which Moana Pool was one. […] Initial inspections have been carried out at two other buildings – the Sims building in Port Chalmers, which is leased to a club, and a storage shed located next to Tahuna Park used by Parks and Recreation staff and contractors. A union says the public could easily have been exposed to cut and broken asbestos pipes left unsecured in a sometimes unattended Mosgiel yard. The Amalgamated Workers Union (AWU) said the pipes at the Dunedin City Council’s Mosgiel wastewater treatment plant were not in a safe state and could have been accessed by children in the residential street. ASBESTOS (pronounced /æsˈbɛstəs/, /æzˈbɛstəs/ or /æzˈbɛstɒs/) is a set of six naturally occurring silicate minerals, which all have in common their eponymous asbestiform habit: long (roughly 1:20 aspect ratio), thin fibrous crystals, with each visible fiber composed of millions of microscopic “fibrils” that can be released by abrasion and other processes. They are commonly known by their colors, as blue asbestos, brown asbestos, white asbestos, and green asbestos. Asbestos mining existed more than 4,000 years ago, but large-scale mining began at the end of the 19th century, when manufacturers and builders began using asbestos for its desirable physical properties: sound absorption, average tensile strength, resistance to fire, heat, electricity, and affordability. It was used in such applications as electrical insulation for hotplate wiring and in building insulation. When asbestos is used for its resistance to fire or heat, the fibres are often mixed with cement or woven into fabric or mats. These desirable properties made asbestos very widely used. Asbestos use continued to grow through most of the 20th century until public knowledge (acting through courts and legislatures) of the health hazards of asbestos dust outlawed asbestos in mainstream construction and fireproofing in most countries. Prolonged inhalation of asbestos fibres can cause serious and fatal illnesses including lung cancer, mesothelioma, and asbestosis (a type of pneumoconiosis). Illness from asbestos exposure can be found in records dating back to Roman times. Concern in modern times began in the 20th century and escalated during the 1920s and 1930s. By the 1980s and 1990s asbestos trade and use was heavily restricted, phased out, or banned outright in an increasing number of countries. The severity of asbestos-related diseases, the material’s extremely widespread use in many areas of life, its continuing long-term use after harmful health effects were known or suspected, and the slow emergence of symptoms decades after exposure ceased made asbestos litigation the longest, most expensive mass tort in U.S. history and a much lesser legal issue in most other countries involved. Asbestos-related liability also remains an ongoing concern for many manufacturers, insurers and reinsurers. 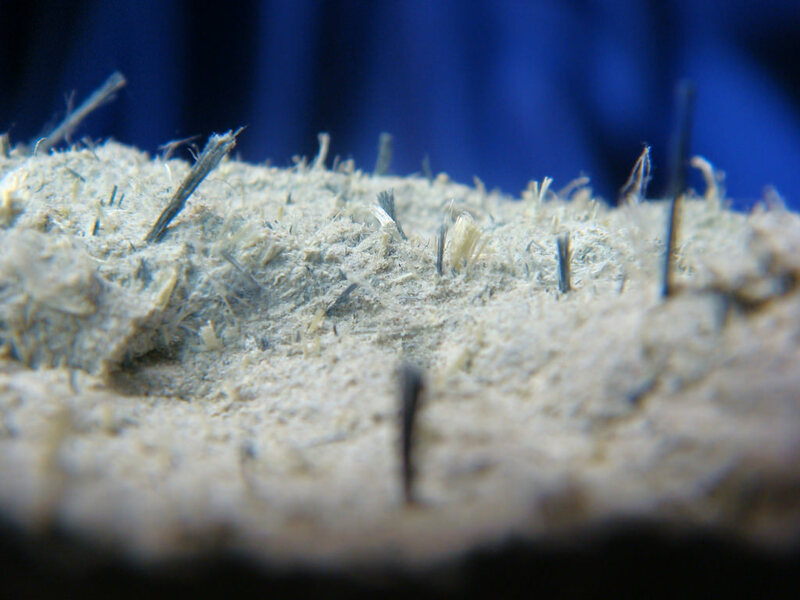 Myth: Asbestos Fibres are firmly locked in a cement matrix. 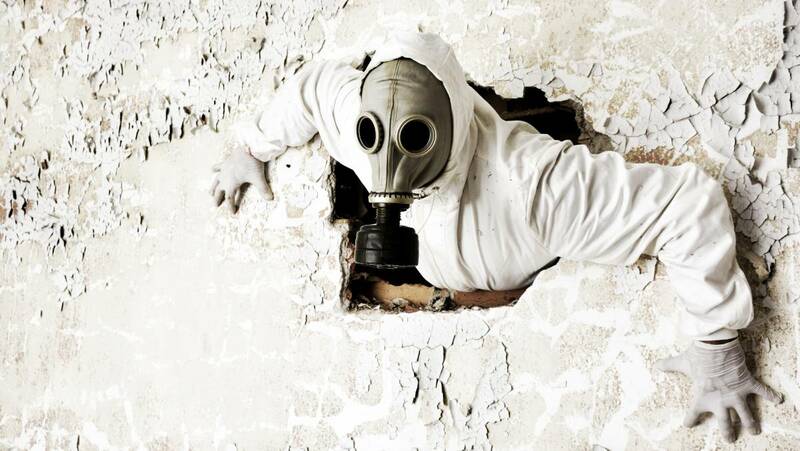 ● Fact: Asbestos Fibres are readily released from deteriorated or weathered surfaces. Myth: Asbestos-cement cannot be crumbled to powder by hand pressure. ● Fact: Products such as asbestos-cement corrugated siding become friable from damage. Myth: Asbestos-cement products present no exposure hazard to building occupants. 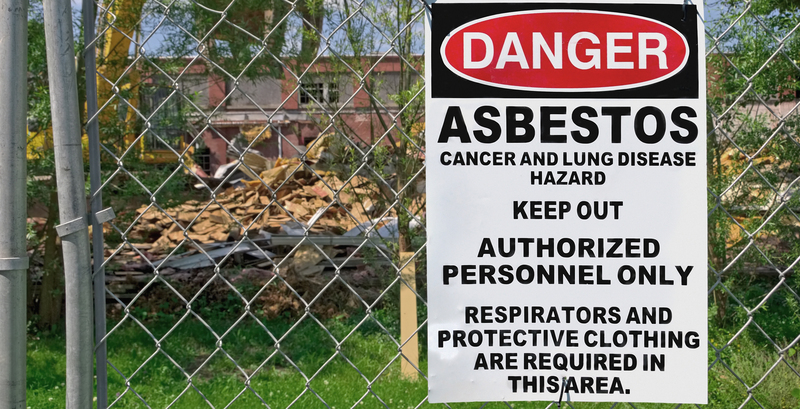 ● Fact: Asbestos roofing and siding can release fibres inside as well as outside the building. Not all asbestos-cement roofing and siding remain in as good condition. 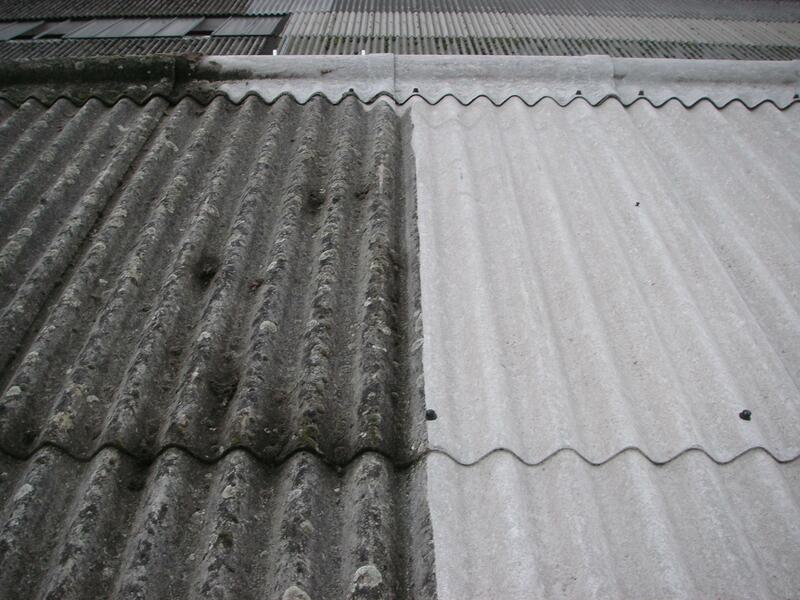 In many countries, the inside of asbestos-cement roofing and siding is subject to the normal activities of the occupants that can release fibres from the surfaces. An asbestos-cement panel can be vibrated by wind, causing some abrasion of the edges. 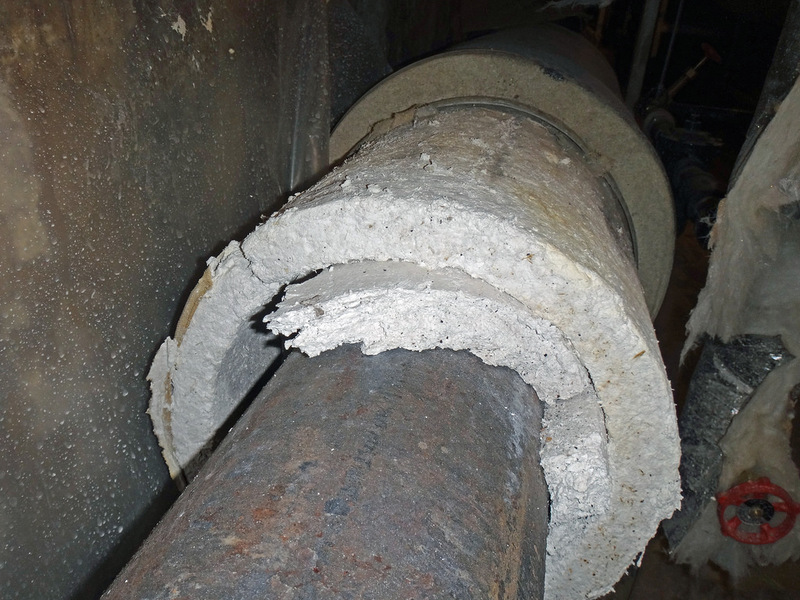 Myth: Asbestos-cement pipes present no health or environmental hazard. ● Fact: Health and environmental hazards start during the manufacturing process when the ends of the pipes are ground and the waste is disposed of carelessly. Fine dust produced during installation of the pipes is a hazard to the workers and community. 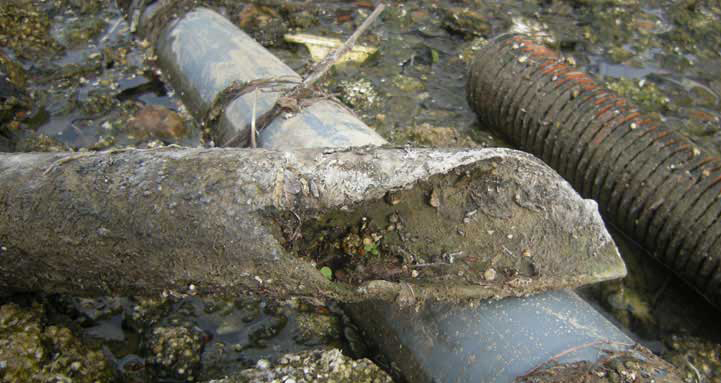 When the pipes are dug up and removed, fibres are released as they are broken and crushed. Pressure pipe for water distribution was made with crocidolite and amosite as well as chrysotile. Myth: Paint and encapsulants offer permanent protection against asbestos fibre release. ● Fact: Paint and encapsulants deteriorate and take asbestos fibres with them when they peel off. 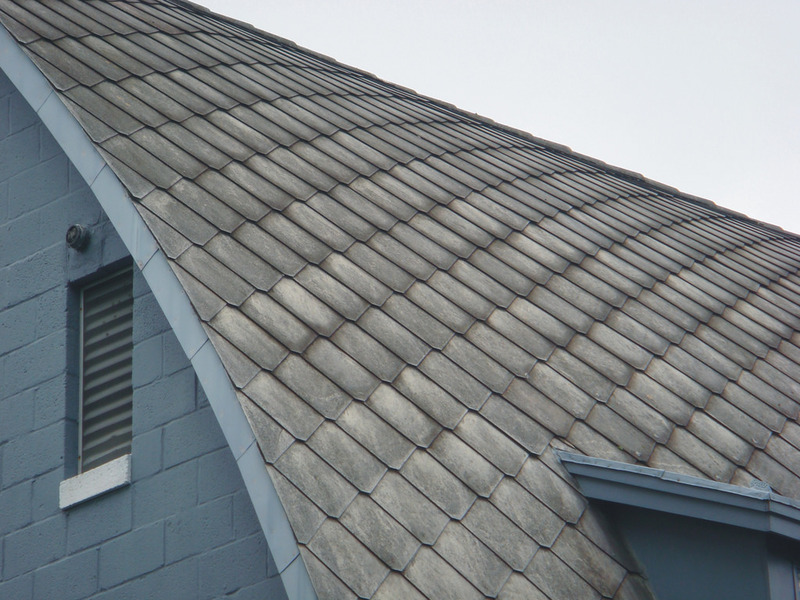 Why is it necessary to protect a material that is touted for its weather-resistance and durability, yet encapsulants for asbestos-cement roofing and siding are widely marketed. Encapsulants are a form of paint, and a good paint job begins with surface preparation. The hope is that no one sands asbestos-cement roofing and siding before they paint or encapsulate it, because of the obvious dust and health hazard created. The Health and Safety at Work (Asbestos) Regulations 2016 came into force on 4 April 2016. They set out the new rules around the removal of asbestos, and the circumstances where WorkSafe must be notified. Type of licence : What asbestos can be removed? • any amount of non-friable asbestos or ACM. ACD associated with removing any amount of non-friable asbestos or ACM. 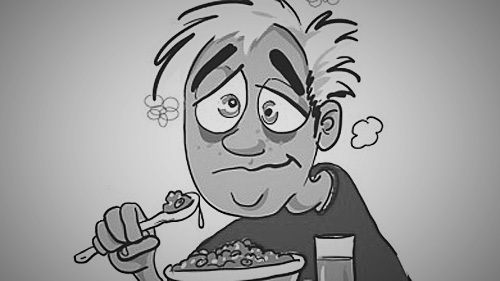 • asbestos-contaminated dust that is associated with this volume of asbestos or asbestos-containing material, and/or any associated minor volume of asbestos-contaminated dust or debris. A new role of asbestos assessor has been developed. A licensed asbestos assessor will provide air quality monitoring during removal work, inspect the finished job and provide a clearance certificate. A licensed asbestos assessor will be required to assess Class A asbestos removal work from 2018 onwards. Current Certificate of Competence holders will be able to continue removing asbestos (in the categories specified on their certificate), and supervise asbestos removal, until their certificate expires.